We hope that you have already gone out and cast your vote, but if not, we hope that you are able to make time today or tomorrow so that you can fill out your ballot. 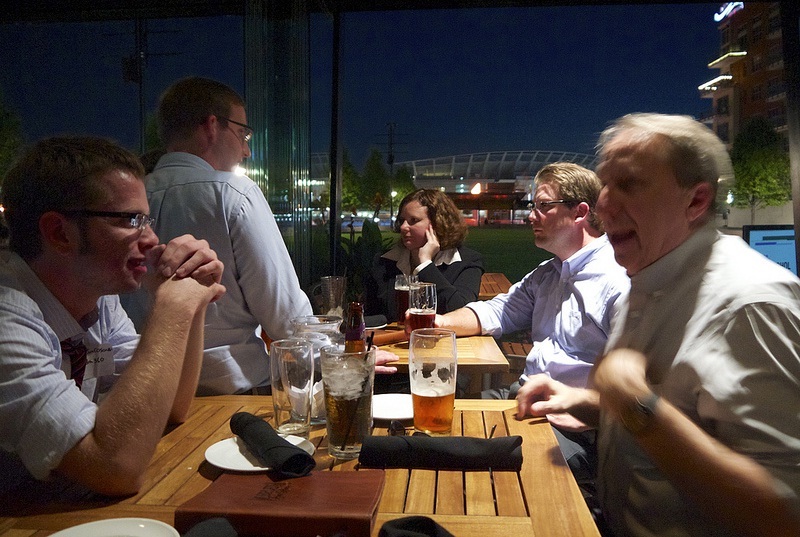 After that, come out to Moerlein Lager House Tuesday evening and celebrate the end of the 2012 election season with us for November’s URBANexchange. This month we will once again gather in the biergarten at the Moerlein Lager House (map) at 5:30pm, and stay as long as people are interested. As always, there will be terrific food and drink available for purchase, with a portion of the sales going to support Smale Riverfront Park. This will not be a partisan event, but rather an opportunity to enjoy the evening with other urbanists, and discuss the issues facing cities today. It should be an exciting evening given that the Presidential Election will be decided by Ohioans, with Hamilton County being the most populated swing county up for grabs.